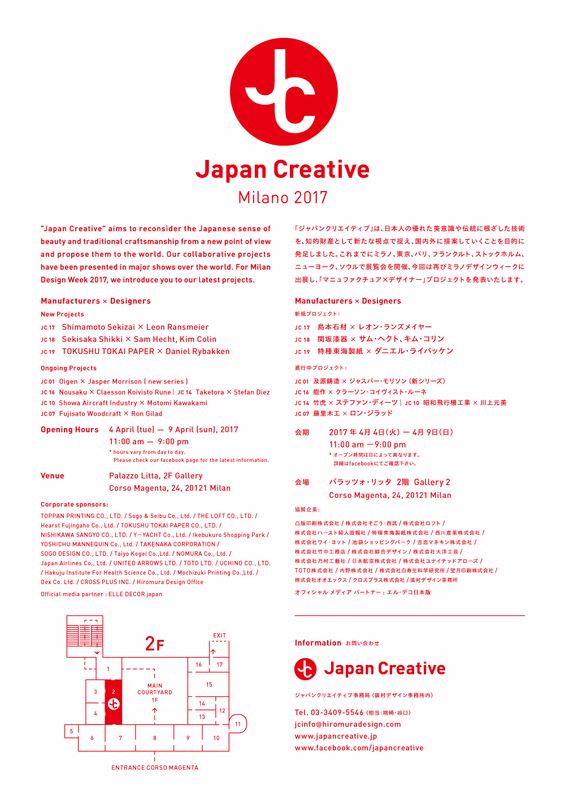 We are going to have an exhibition during Milano Design Week 2017. We’ll present new project which is collaboration with Sam Hecht & Kim Colin. This new project is supported by Japan Creative that aims to reconsider the Japanese sense of beauty and traditional craftsmanship from a new point of view and propose them to the world. “Project” is new attempt to make our new brands, and they are completely different products from our daily plastic tableware. We will propose “new form of lacquerware” utilizing the manufacturing technology of both wooden lacquerware and plastic lacquerware as the next step. It will be exhibited in Milano salone 2017 in april.